1. 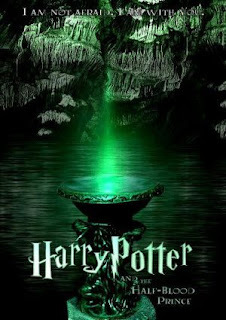 Harry Potter and the Half-Blood Prince release date was moved from November 21, 2008 to July of 2009. 2. Dame Maggie Smith (Professor Minerva McGonagall) completed filming this film while she was undergoing radio-therapy as treatment for breast cancer. 3. Hero Fiennes-Tiffin who plays Tom Riddle, 11, is the real life nephew of Ralph Fiennes who plays Lord Voldemort/Tom Riddle. Yates insisted Fiennes-Tiffin did not get the role simply because of his uncle, but did admit the resemblance was "a clincher". 4. Sir Michael Gambon, ( Dumbledore) became a father last month at 68 years of age. 5. Quidditch at Hogwarts is back in Harry Potter and the Half-Blood Prince after being absent from the last two films. 6. Robert Knox, (Marcus Belby), was tragically stabbed to death soon after filming was finished. Some of the cast sported a white ribbon at the premier in his memory. 7. Jessie Cave, (Lavender Brown) beat more than 7,000 girls to win her first major film role. 8. After reading the Harry Potter and the Half-Blood Prince script,Rowlings noticed a line where Dumbledore mentioned a girl that he had a crush on when younger. She then released the fact (to the filmmakers and the public) that Dumbledore was gay. 9. Naomi Watts was first cast to play Narcissa Malfoy but had to drop out due to scheduling conflicts.